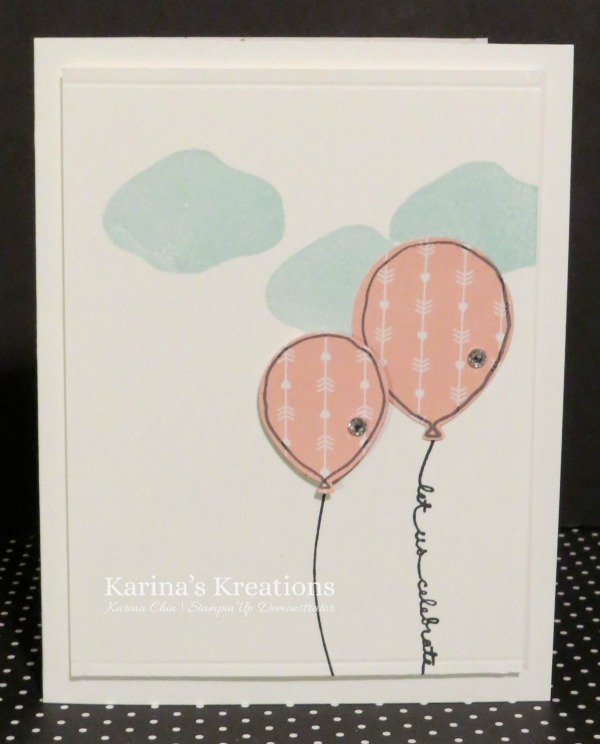 Karina's Kreations: Balloon Celebration Sneak Peak! I just wanted to remind you about the Year End Sale that's on now! Don't miss out on these great items. Click here to see what's on sale! I have a sneak peak to share with you today. I started playing with my new stamps from the upcoming occasions catalog. 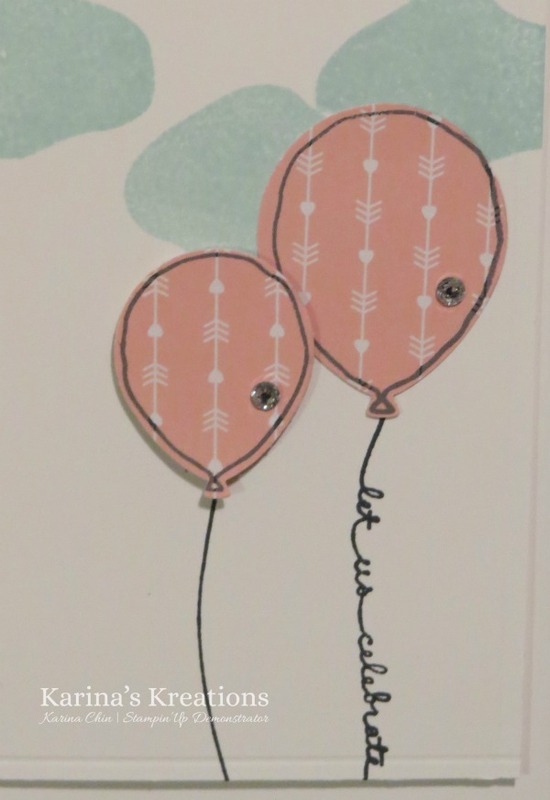 I used the Balloon Celebration stamp set to make this cute but simple card. This stamp set has a matching balloon bouquet punch. You're going to love it!! I challenged myself to create a white card which I have a really hard time with. I love lots of layers, colors and stuff on my cards however, I love this card turned out. It's so cute and was so simple to make. The Designer Paper is part of the Love Blossoms Paper stack. It can be used for Valentine's Day or any feminine project. I hop you liked my card.